Our best-selling reel is now 30% bigger! This light reel is great for all-day jigging. 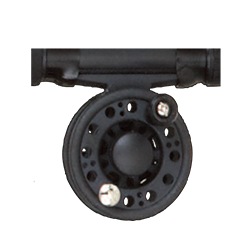 Made of crush resistant ABS material, this reel has 2BB to ensure smooth operation and will allow you to set the drag for optimal rod performance!